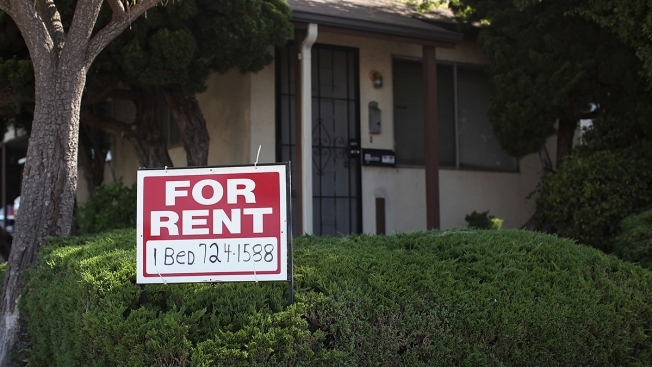 This June 15, 2012, file photo shows a "for rent" sign in front of a house in Richmond, California. Financial stress visits renters more than homeowners. That's the main takeaway from a new report by the Urban Institute, a nonpartisan think tank in Washington. To be sure, buying a house has also become harder for many Americans — to do so now costs four times the median household income. The homeownership rate fell to 63 percent in 2016 – the lowest rate in half a century. David Bach: The 3 situations in which you should rent instead of buying a home from CNBC. "Still, renters seem to be worse off," said Corianne Scally, a senior research associate at the Urban Institute and a co-author of the study. The Urban Institute's findings come out of its 2017 well-being and basic needs survey, which received responses from 7,500 people ages 18 to 64. Half of renters in the survey reported a material hardship in the past year, compared with one-third of homeowners. More than one-quarter of U.S. renters in the survey were not confident they could cover a $400 emergency. Around 18 percent of homeowners reported low emergency savings. Nearly 18 percent of the renters experienced a large and unexpected decline in income in the past year, compared with 14 percent of the homeowners. More than 12 percent of the renters report difficulty covering their housing costs, compared with 9 percent of the homeowners. Over 15 percent of the renters say they struggled to pay a utility bill during the last 12 months, while 11 percent of the homeowners did. While renters are worse off, Scally said, it's clear that many homeowners are also struggling with their bills. "It seems that some of them are having to make trade-offs in just meeting their basic needs," she said. Are your finances better, worse or the same under President Trump?